The Eagle has Landed - Moonshot Moments and How to Overcome the Naysayers, Doubters & Distractors | The Creative Company, Inc.
Nearly every one of us has had that moment when you know you’re being called to do something new or brave. Not literally called but like a small voice inside your head that says, "you're needed." It could be as simple as helping someone with a task at work or home or–on a larger scale–building a school in a developing country. Making a difference happens every day in small and big ways. It really is the best stuff of life, isn't it? Last night, a friend of mine sent me a recording of the wind blowing on Mars to help me sleep. He could have just as easily noted that I had trouble resting the night before and ignored it. Instead he was moved to action. Author Bob Goff says, “love is an action word.” And it is. It is also what fills our lives with meaning, purpose, and joy. Our lives are so much more than the dash on our tombstones. But what are we doing with the dash? And what do we do when we're working on the dash and the unpredictable shakes us to our core, when the questions and the doubts come (as they will) from well-meaning friends and colleagues or from ourselves? It’s so easy to think about trading in our hope for fear, isn't it? And wouldn’t that be convenient for everyone else if we just stopped being people who gave more than we had to and waited for someone else to solve it? I mean, wouldn’t it make everyone else feel less guilty about staring at their phones for hours on end watching YouTube videos? I'm being a little snarky here, even when I know I sometimes buy into sitting this one out and playing it safe. And then some time goes by and I think, oh that sneaky devil is up to his tricks again. There's a reason we need to put on our armor before we go out in the world. A number of things can take us down both internally and externally. We need to fight those battles because never before has the world needed people who care enough to get in there and make a difference or, as author Seth Godin says, "Make a ruckus." The thing that no one tells you when you're out here "making a ruckus" though, is that you often stand alone. 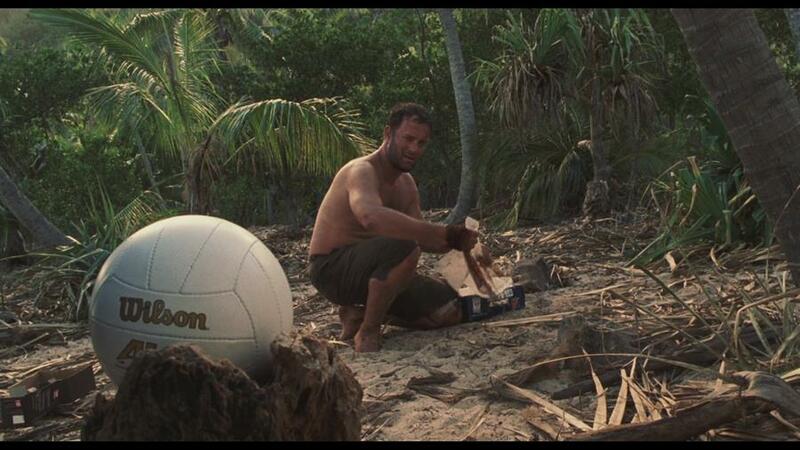 And by alone, I mean, like Tom Hanks in Cast Away where you are stuck staring at a Wilson volleyball acting like it’s a real person just to survive. And I’m not even kidding. I have those moments, and so does everyone who has ever done anything remotely brave. And then, like Hanks, the ball floats away and you swim after it and it's just gone. It's that lonely. You'll also encounter your share of people who prefer that things stay the same, question you and are so rooted in the fear of something new that they can’t see what's possible. These people should mostly be avoided when you're on a mission. The status quo is almost always preferable to something unknown. And, most people don’t want to work that hard either. We've all been conditioned to get it when we want it (think Amazon Prime) without having to put forth any effort. But, if you've ever planted a garden, you know it takes months for the harvest. The laws of nature are in motion all of the time, regardless of what technology is telling and selling us. How this is shaping our attitudes about solving BIG problems is troubling to me. It's too easy to quit, and that attitude is permeating our culture. But for the people with vision who will get in there and WORK until the mission is completed, the runway is clear. So much of the world is playing Pokemon Go and wasting their lives. It’s not crowded in these spaces. Ask Doug and Lois Fearing who have been raising money for Schools for Haiti for the last five years. Why would they take time out of their lives to do this when they could vacation in Europe? Why would they invest their own and the company's resources for children a world away? Because the Fearings know that if a child has an education, they can grow up to solve problems, and Haiti is in desperate need of just about everything. These bright minds are the future of Haiti and no, the Fearings didn't have to get involved but because they did, the seeds they are planting will be harvested for generations in that country. Some people would surely wonder why any reasonable person would care about these kids a world away when they could just carry on with their lives. But the hundreds of kids who have a safe place to learn, a new school and clean drinking water in the poorest country of the world are glad Doug and Lois didn’t sit this one out. They could have. Just like I could have sat out of producing the women’s leadership summit or countless other side-hustles in the spirit of caring, commitment and the future. Why? Because when you’re doing things that are COSTLY–emotionally, spiritually, physically and financially–well-meaning people will question your sanity, your motives and your very being because much of the world won’t step up and do what’s right or what’s needed, simply because they prefer to be comfortable. When you’re doing things that are COSTLY–emotionally, spiritually, physically, and financially–well-meaning people will question your sanity, your motives and your very being. Dr. Tom Nebel is one of my business coaches and a leadership coach with Giant Worldwide. Tom just returned from a trip to Ireland where he stayed in a modest cottage on a hillside. He told me that the showers were warm but not hot and the bedroom was cold, not warm. It was all fine, but he was glad to return home, too. Being home where things are familiar, safe and known is needed, but sometimes we need to buy the plane ticket (metaphorically), experience something new and move in a new direction. Too many of us are not engaged in a meaningful way in the world around us–whether a calling or an opportunity–and it’s costing us all dearly. What the world needs is more “woke” people who have come alive, who love courageously and with intention and who are not waiting for someone else to solve the problem. But it takes courage, doesn't it? And you need to be equipped, right? Sometimes we are but often, the equipping happens while we're doing the work that needs to be done. Did you know Moses most likely had a speech impediment? In Exodus 4:10, Moses said to the LORD, "Pardon your servant, Lord. I have never been eloquent, neither in the past nor since you have spoken to your servant. I am slow of speech and tongue." He wasn’t equipped and he knew it, but Moses literally rose to the occasion. And so can we. We can make a ruckus. Just know you’ll encounter your share of challenges along the way. I’d like to thank my dad for saying "no" to me as often as he did because it conditioned me to keep going, regardless of what was happening around me. I’ve since read about how children in Germany were raised and although my dad's great grandparents had left Germany a while ago, it is our heritage and I believe it was well-intentioned. In German families, they teach their children that the world is not an easy place to be in and, therefore, it is the parent’s job to prepare their child for the harsh realities of the world. In my case, that meant that whenever I came up with some dreamy big idea, he shot it down. I’ve had a lot of practice with people telling me all the reasons why something isn’t going to work, or that I don’t have the funding for it. But, if I’m in it to win it, you’ll have a hard time stopping me. I’ve been conditioned to overcome, and I really do have my dad to thank for that very valuable life skill. Tenacity, faith, and resilience are more important than any Ivy League education or bank account. Whenever I came up with some dreamybig idea, he shot it down. Naturally, sometimes you'll be wrong. But if you're right, you can change the world. I know because in my own way, I have, and I’ve met countless other leaders who have as well. It is possible. YOU are possible and if God puts that desire in your heart to help, heal, or save the world then go do it. I read a story this morning about a teacher who was admonishing a writer, saying his ideas were irresponsible because most of the students (if not all, in his opinion) would never achieve at that level nor should they be encouraged to do so. I'd like to show him my life trajectory as well as countless others who have overcome many obstacles and achieved greatness that will positively impact humanity for generations to come. The human condition longs to THRIVE. We need support, encouragement and the freedom to create. So many impossible things have happened in large part because those brave souls who venture forward chose not to listen to the naysayers, the doubters and those who may have been well-intended but who have no vision or courage. As Aristotle wrote in his Rhetoric, an idea has to be possible, easy and useful. Knock out one of those and an idea fails. That is why it is so easy to be negative and so hard to be positive. Or think of Neil Armstrong, the first man to walk on the moon and the team that put him there. You know there had to be quite a few people who were saying, "That's just not possible." And yet, on July 20, 1969, Neil Armstrong and Edwin "Buzz" Aldrin became the first people to reach the moon when the Apollo 11 lunar lander touched down in the Sea of Tranquility. It was the largest TV audience in history, too. "All things are possible." That's what God says. And as John F Kennedy said, "If not us, who? If not now, when?" Moonshot moments need to be seized. Too often we wait until all of our ducks are in a row. 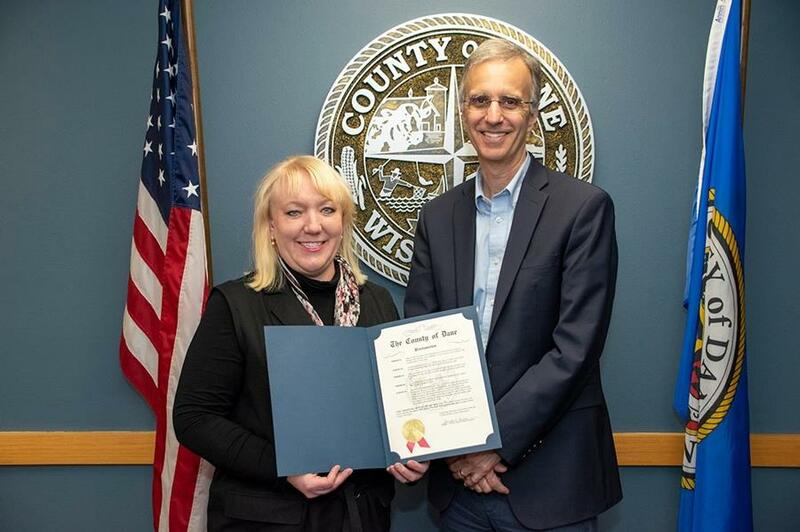 When I attended the global Women’s Entrepreneurship Day event at the United Nations, I thought, “I could do that in Wisconsin.” So, I applied to become the Ambassador, and then nothing happened for five months. Then, I told my CFO we were moving forward with it and I was thinking about renting the Monona Terrace. Now, as background, it doesn’t get much more expensive than the Terrace. As one who has had the opportunity to be in some remarkable places, I wanted to create a first-class experience for these women. I wanted them to know they are valuable and worth it. And, I knew I could trust the Terrace to deliver the experience I had hoped for. With all of the moving pieces, I didn't want to leave anything to chance. Plus, I had never produced anything of this size before. However, my well-meaning, kind, smart CFO said, “You could do a breakfast.” And I could have. But then, with the help of a few committed sponsors, I went ahead and rented the Monona Terrace, and with the help of many people in Wisconsin and my team at The Creative Company, we produced a sold-out conference in 120 days with three standing ovations and an impact that will be felt throughout this region for decades. It was DIFFICULT. I was scared to death often as sponsor calls were not returned and ticket sales were not yet in. And going back to the June convo with my CFO, I could have played it small and safe. I wondered if she was right, wondered if I had just taken all of my reputational capital I spent decades building and put it all on red at the blackjack table in Vegas. The wheel was spinning, and it took months to know where it would land. But baby it landed with nearly every person saying they would return, and metrics most other conference planners would kill for. Afterward however, I was so drained that people close to me thought it would be best if I didn't do it again. Instead, I rested, created a better work plan and structure and did it again but even better than the first time. And you know what happened? We scored five out of five for all four keynotes. People loved the experience even more as we pushed and challenged every person in new ways with inspiring ideas and breakout sessions, and 98% said they'll be back next year. I was told to play small. I was told to quit. Both years. I didn’t bite and neither should you. You may be the only one at times that somehow intuitively knows you're on the right track. Be sure, certainly, to have strong counselors and advisors around you and listen to them. But in the end, it's your decision. Don't get off track by people who have never done anything big before. Listen to those who have done even bigger things and follow their lead. Your mother may be a great support system but she's not going to like the stress you're under, so she'll steer you toward safety every time. Who I choose to have in my tribe varies depending upon the projects I'm working on. My core is consistent, but others come in and out based on current needs. I’ve received some of the best professional guidance of my life in the last two months -- as well as some of the worst. This is why Ray Dalio in his book “Principles” recommends that you not only surround yourself with wise counselors but seek three opinions before moving forward. They’ll each offer something new and then you’ll have to decide. He gave a medical example where three doctors gave the same diagnosis but all three had different treatment options. He chose the least invasive and had the best outcome. Had he listened to the first doctor, his professional life would have been radically affected as he would have lost his ability to speak. He listened politely to doctor number one and then kept going. That's the trick–keep going. Your tribe matters. Your ideas matter. You matter. And the world needs you. Here's to moonshot moments and the tenacity, resiliency and courage to stand alone when we need to. Here's to developing a tribe that will encourage us to do more than we ever thought possible. And here's to the crazy ones...because the people who are crazy enough to change the world are the ones who usually do.